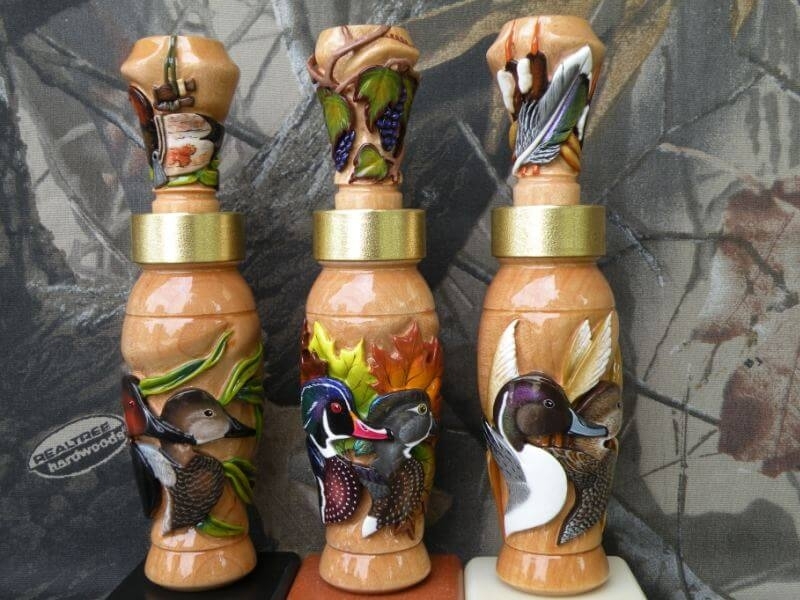 World Famous Heritage Calls® - Heritage Calls, Inc.
Heritage Calls is committed to bring to you the collector or outdoor enthusiast the very finest investment and collectible waterfowl calls made! 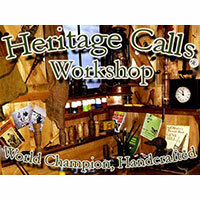 Today in the call collecting world, “Heritage Calls” rises to the undisputed pinnacle of this realm, best in the world! And too, “World Famous Heritage Calls®” is indeed just that! 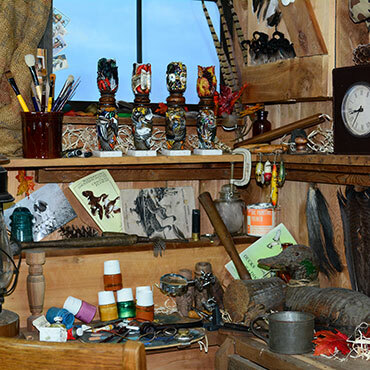 “Heritage Calls” and its dealers, ship calls all over the world to Canada, most of Europe, especially Germany, France, Italy and Spain, to all over the United Kingdom, Russia, and Australia, plus even New Zealand, Mexico, and South America! A self-taught artist and well known and accomplished carver, Joe’s beginnings weren’t all that simple. 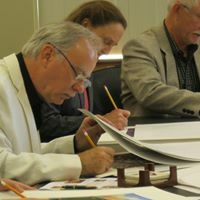 His interest in the outdoors stemmed from his early childhood years growing up on his beloved grandfather’s ranch in Oklahoma. 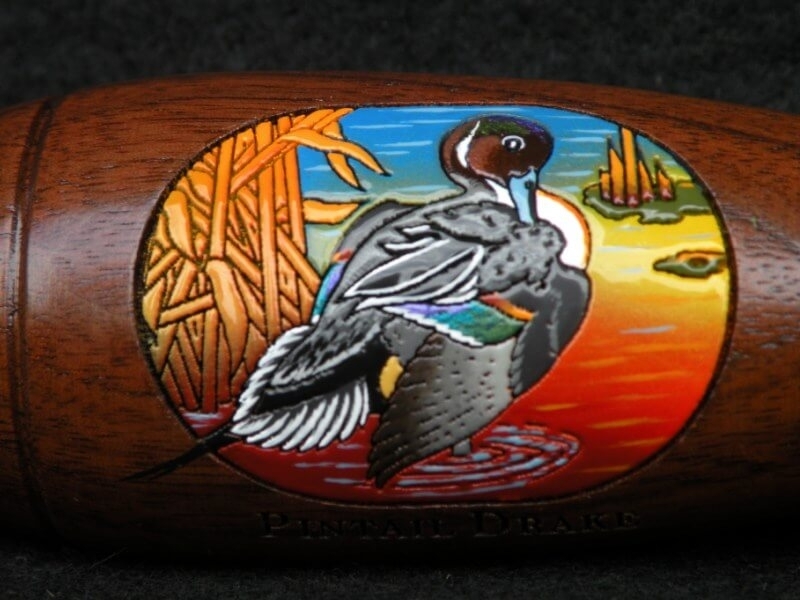 Elegant engraved, Boonducker Brands duck call collectibles, exclusively hand painted by Joe Bucher. 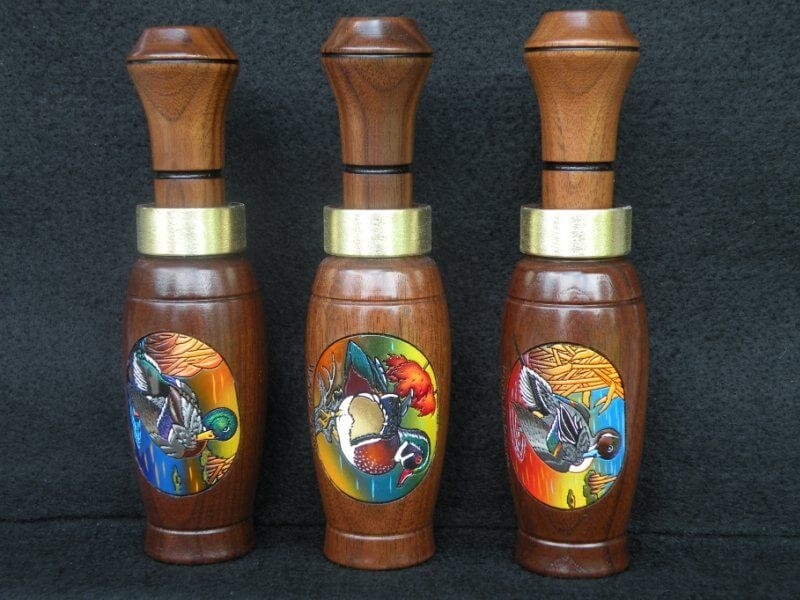 The perfect gift for the outdoor person or call collector! 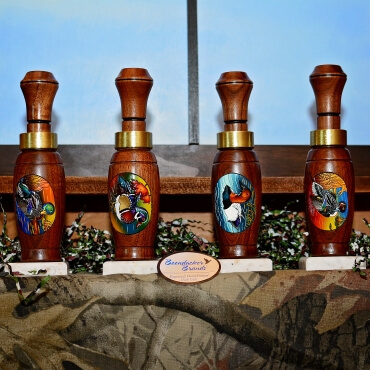 Exquisite hand painted, original artwork adorns each of these incredible collectible duck calls. A superb and unique gift for that special person in your life! 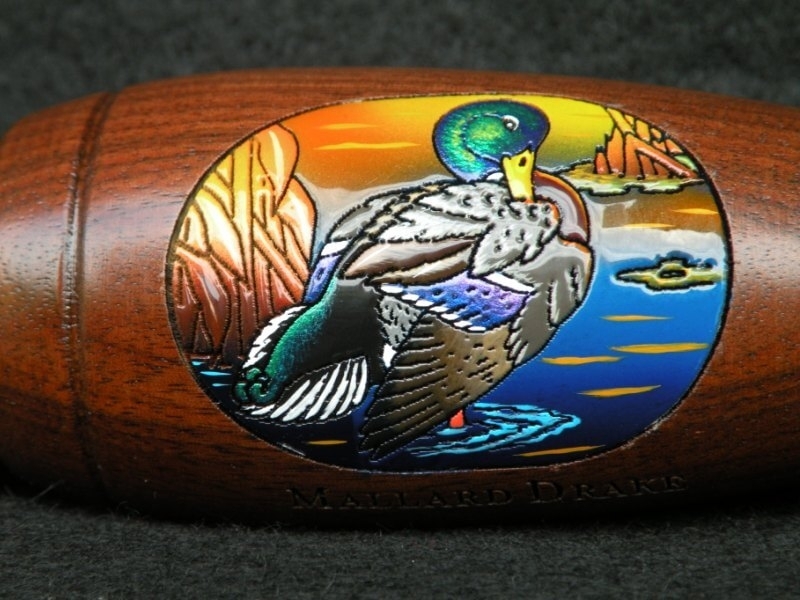 See inspiring waterfowl calls that are handmade with time defying craftsmanship, ranging from incredibly elegant hand carved and hand painted investment calls to gorgeous contemporary hand carved and hand painted collector calls. 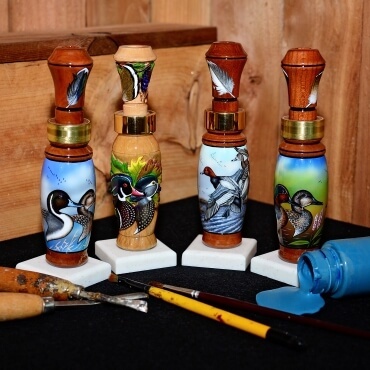 Revisit an earlier time period in Joe's call making career with his fabulous vintage era hand carved and hand painted reproduction calls. 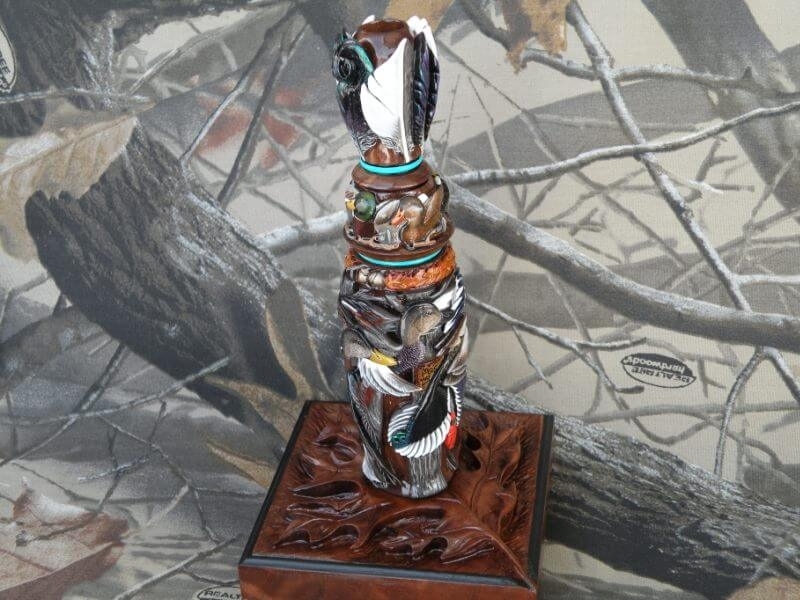 You can view stunning calls of extreme intricate hand carving, finished in their beautiful natural wood state. An array of splendid collector calls or gifts for anyone! 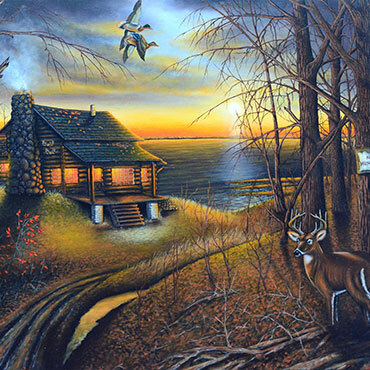 The outdoor world in paint by artist Joe Bucher. Finest in investment and esthetic sporting and outdoor art, direct from his studio to your private home, office or lodge. Unparallel in quality and value. The brilliant colours add a warmth, glow and virtuous theme to any retreat! Bring your outdoors inside with these stunning works of art!